Supplier Visteon Corp. agreed to sell its 50 percent stake in Chinese joint venture Yanfeng Visteon Automotive Trim Systems -- which produces interior components -- to its partner Huayu Automotive Systems Co. for about $1.2 billion. Visteon will separately purchase the majority control of the joint venture's automotive electronics unit, known as Yanfeng Visteon Automotive Electronics Co., for $68 million, the company said in a statement today. "These transactions support our focus on our core climate and electronics businesses and will bring significant benefits to Visteon, our customers and our shareholders," CEO Timothy Leuliette said in the statement. Under the deal, Visteon will keep its wholly owned interior component business, which it had tried to sell to Huayu Automotive last year as part of a package deal. That deal fell through last July, presumably because Huayu did not want the interiors operation's assets in Europe, where sales are stagnant. 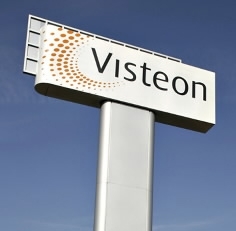 Visteon spokesman Jim Fisher confirmed today that Visteon still wants to sell its remaining interiors operation. "Our stated goal is to divest that business," Fisher said. By contrast, Visteon now considers its electronics operation to be a 'core' business along with its profitable climate control operation, Fisher noted. The company also said it increased its share repurchase program by $875 million to $1 billion. Reuters and David Sedgwick contributed to this report.